It is our intent to demonstrate an ongoing and determined commitment to improving health and safety at work throughout our organisation. We will ensure the health and safety at work of all our people and any other people who may be affected by our work activities. We will comply with the requirements of health and safety legislation in all the countries where we operate and we will continue to progress by adopting and promoting best practice. Where possible we will strive to make our standards exceed those of the health and safety regulatory bodies in our operational locations. 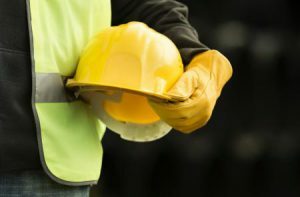 Our HSE policy reflects our commitment to ensuring that health and safety at work is paramount to our business, and that effective health and safety actively contributes to our success and growth. “Awareness” is a word much promoted within the TLC Group. We constantly remind our people and our stakeholders to be “aware” and to understand the risks that affect our business and of the hazards that can affect the health and safety of our personnel, our partners, the community and the environment. We embrace the concept of working with, as well as, for our clients and we actively encourage open communication and consultation on HSE issues. We welcome the opportunity to listen to our clients specific QHSE requirements, and also to inform how the development of, and our commitments to, HSE will result in a safe and succesful business relationship.